Stream architecture is a newly developed high performance processor architecture oriented to multimedia processing. FT64 is 64-bit programmable stream processor and it aims at exploiting the parallelism and locality of the applications. 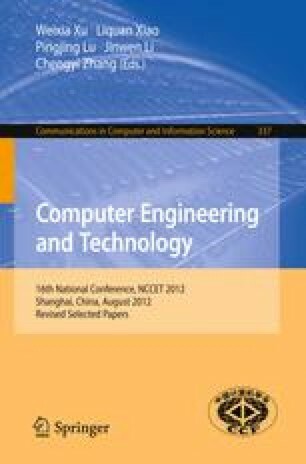 In this paper, first, we inspect the memory access characteristics of FT64 with cache and without cache. Second, we propose an improved cache design method. Making use of the feature of stream data type used by FT64, the improved method avoids loading data from memory when the stream store instruction fully modifying cache block misses. The experiments show the performance has been improved by 20.7% and 25.8% when a normal cache and an improved cache are used respectively. Finally, we study on the performance influence of cache capacity and associativity. The results show that better performance can be achieved when we use a small cache and an associativity of 2 or 4.